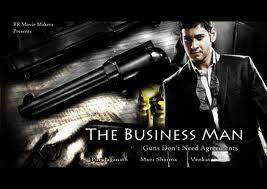 ust like Ippatikinka Naa Vayasu from Pokiri and Puvvai Puvvai from the latest Dookudu, Mahesh Babu’s forthcoming movie The Businessman will also have a rocking item number, informs the reliable sources. The above item numbers with sizzling dances by Mumaith and Parvathi Melton added the ample masala quotient to the blockbusters. The Businessman director Puri Jagannadh is making sure to add a superb item number to attract the mass audiences. Thaman is currently busy composing the tune and he informed that the song will have great energy. We are yet to know which actress is going to set the screens on fire with her dance moves. Kajal Agarwal is playing the female lead in The Businessman, which is being produced by Venkat on the banner of RR Movie Makers.